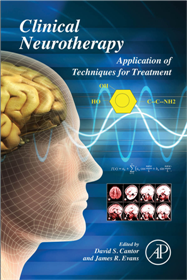 Kronik ağrı (fibromiyalji sendromu) ile ilgili ABD yazarları ile birlikte yazdığımız “Clinical Neurotherapy” kitabı yayınlandı. Bu kitapta, beyin dalgalarının çeşitli hastalıklarda tedavi programları doğrultusunda değiştirilebilmesini konu alan Nöro-feedback (Nöro-geribildirim) konusu tüm detayları ile incelendi. Bu kitapta, Prof. Dr. Erbil Dursun ve Prof. Dr. Nigar Dursun ise nöro-geribildirim tedavisinin kronik ağrıda (fibromiyalji sendromu) kullanımını yazdı. Aşağıda bu kitapta yazılmış bölümü sizlere sunuyoruz. in addition to medical approaches to treat acute and chronic pain syndromes. their physiological processes, which are otherwise involuntary and unfelt. and an active mind, and appears to facilitate thalamic inhibitory mechanisms. of epilepsy and potentially reduces vulnerability to a convulsion. with actual or potential tissue damage, or is described in terms of such damage. fiber activity and by descending influences from the central nervous system. pain are changing from the periphery and spinal cord to the brain itself. for impaired inhibition of nociceptive transmission by these brain structures. such as the caudate nucleus and thalamus. where it is initiated, as well as at central nervous system sites where it is maintained. treatment will be effective in alleviating the symptoms and signs of FMS. sessions of neurofeedback training, the success rate was evident. facilitation of the thalamocortical inhibitory mechanisms. and these regions are the component members of the default-mode network. supporting effect in the correction of this cortical disruption. significant improvements in visual attention, tenderness, pain and fatigue. in psychological distress and morning stiffness. groups, but the neurofeedback group displayed greater benefits than controls. certainly can be considered one of the advantages of this treatment. neuropathic pain, consistent with the presence of thalamocortical dysrhythmia. changes were noted regarding mean amplitudes of EEG rhythms. with higher patient numbers are needed to verify this finding. abnormal sensory processing in fibromyalgia. Mayo Clin Proc. 1999;74(4):385–398. chronic pain. Clin J Pain. 2002;18(6):355–365. pain with non-invasive brain stimulation techniques. Lancet Neurol. 2007;6:188–191. Green AL, Wang S, Bittar RG, et al. Deep brain stimulation for pain relief: a metaanalysis. with electromyographic biofeedback in foot-drop after stroke. Stroke. biofeedback. Arch Phys Med Rehabil. 1989;70(8):612–617. with cerebral palsy. Disabil Rehabil. 2004;26(2):116–120. Petrofsky JS. The use of electromyogram biofeedback to reduce Trendelenburg gait. Eur J Appl Physiol. 2001;85(5):491–495. of children with cerebral palsy. Dev Med Child Neurol. 1989;31(4):471–480. incontinence in stroke patients. Biofeedback Self Regul. 1989;14(1):3–19. outlet dysfunction, not patients with isolated slow transit constipation. Gastroenterology. resection. Ann Acad Med Singapore. 1997;26(3):299–302. Draizar A. Clinical EMG feedback in motor speech disorders. Arch Phys Med Rehabil. disorders. Appl Psychophysiol Biofeedback. 2005;30(4):333–345. outcome study. Behav Brain Funct. 2010;6:9.
versus conservative care for patellofemoral pain syndrome. Arch Phys Med Rehabil. using biofeedback: a randomized control trial. Indian J Med Sci. 2007;61(8):455–461. for ‘empirically based treatment’ with neurofeedback. Appl Psychophysiol Biofeedback. Siniatchkin M, Hierundar A, Kropp P, Kuhnert R, Gerber WD, Stephani U.
study. Appl Psychophysiol Biofeedback. 2000;25(1):13–32. hyperactivity disorder. Curr Psychiatry Rep. 2012;14(5):536–542. disorder: Implications for clinical practice. Curr Psychiatr Rep. 2008;10:432–438. disorder. Appl Psychophysiol Biofeedback. 2002;27(4):231–249. research. Appl Psychophysiol Biofeedback. 2008;33(1):1–28. study of Z-score SMR and individualized protocols. Appl Psychophysiol Biofeedback. Hammond DC. Treatment of chronic fatigue with neurofeedback and self-hypnosis. implications for self-regulation. Biofeedback Self Regul. 1996;21:3–33. by conditioning of electroencephalographic activity while awake. Science. Melzack R,Wall PD. Pain mechanisms: a new theory. Science. 2005;50:971–979. pain perception and regulation in health and disease. Eur J Pain. 2005;9(4):463–484. and inflammation. Trends Neurosci. 1992;15(3):96–103. and endocrinology of fibromyalgia. Arthritis Rheum. 1997;40(11):1928–1939. research community. J Pain. 2009;10(8):777–791. long-term trapezius myalgia. Eur J Pain. 2002;6:149–159. behavior during sleep and waking in the cat. Electroencephalogr Clin Neurophysiol. Lautenbacher S, Rollman GB. Possible deficiencies of pain modulation in fibromyalgia. temporal summation of second pain (wind-up) in patients with fibromyalgia syndrome. pontine tegmentum and thalami. Arthritis Rheum. 2000;43(12):2823–2833. with low pain threshold levels. Arthritis Rheum. 1995;38(7):926–938. abnormalities in fibromyalgia. J Nucl Med. 2008;49(11):1798–1803. high risk for alcoholism. Alcohol Clin Exp Res. 2001;25(3):330–337. on auditory event related potential in boys with attention deficit hyperactivity disorder. Int J Pediatr Otorhinolaryngol. 2004;68(10):1267–1272. P300 parameters in patients with dementia of the Alzheimer type. Med Sci Monit. and novel visual stimuli in children of alcoholics. Alcohol. 1998;15(2):119–136. Hada M, Porjesz B, Begleiter H, Polich J. Auditory P3a assessment of male alcoholics. brain potentials in fibromyalgia syndrome. Rheumatol Int. 2005;25(5):345–349. with fibromyalgia. Ann Rheum Dis. 2003;62(6):551–555. affects attention and event-related brain potentials in humans. Neuroreport. approaches for the treatment of pain. J Pain. 2008;9(3):193–199. Neurofeedback–Advanced Theory and Applications. New York, NY: Elsevier; 2008:417–451. the evaluation of a patient with widespread pain. Best Pract Res Clin Rheumatol. default mode of brain function. Proc Natl Acad Sci USA. 2001;98(2):676–682. hurts the brain, disrupting the default-mode network dynamics. J Neurosci. somatic symptoms in fibromyalgia: a pilot study. Appl Psychophysiol Biofeedback. incorporating EEG-driven stimulation: a clinical outcomes study. J Clin Psychol. reveals morphine induced changes in the brain’s pain network. J Clin Neurophysiol.